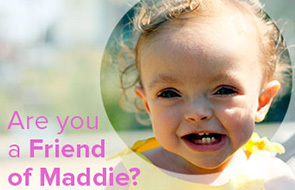 Thank you all for the love and donations yesterday for Madeline’s birthday. Every birthday is hard but I’m struggling more than usual with her tenth. Ten years old is such a milestone. In the peaks and valleys of grief, this one is a very deep valley, and if I’m being honest with myself, it’s been affecting me for a while now. I’m hopeful that the climb out will be a quick one, but I’m going to try to go easy on myself. At Maddie’s first birthday party. ~A mysterious virus is killing Africans. Scientists are racing to understand it before it goes global. ~The Concept of the Weekend Is Dying. What Happens When It’s Dead? ~So … When Are We All Going to Apologize to Megan Fox? UM Thanksgiving is in 11 days, which means Black Friday is in 12 days. I started buying Christmas presents last month to help spread the costs, but holy moly, time is flyyyyying by. ~James & Annabel love to build rollercoasters on Minecraft, so I ordered this rollercoaster building game so they can get some IRL creativity going, screen-free. ~Has anyone ever bought their kids an easel like this? I’m tempted, but not sure if I want another large indoor toy. ~Have I told you guys about our Ring doorbell? I’m obsessed with it! It’s the perfect group, “what do we get for our parents who have everything” gift. Thinking of you and the whole family. Sending you lots of love ?? We have that exact easel and all 3 of my kids love it (ages 9,5,& 3). I don’t find it so large that it’s in the way. And those were supposed to be hearts. Not question marks. Thinking of you–even wore a purple shirt yesterday. I’ve taken to keeping one around for Maddie. We’ve never even met. Hope that’s not too creepy? Anyway, in regards to the easel, I’ve bought ones like that before. I mean, I bought them for myself, not children, but I’m about that reckless with art stuff, so using things normally often qualifies as a stress test. It should be awesome if they’re at all creative, and if you’re not keeping it in a room with carpet. If you do accidentally get paint on some white carpet, Shout stain remover’s pretty good for getting it out, even if they upgrade to acrylic paints when they get older. We had that easel when our boys were younger. It was fun for about a week then they got tired of standing up to use it. We attached a holder with a roll of art paper on it under the table they used and that was much better. They could just pull the paper across the table and go to town. My go to gift for the person who has everything is the air fryer or the instant pot. I have a similar easel for my 4 year old, but it doesn’t fold up. He was interested for a little while, but it mostly just sits there now. He isn’t one to use coloring books though or crafty projects, so that might have something to do with it. Oh! My son has that exact easel. We keep it outside on the covered patio. It’s not as sturdy as I would have liked and the chalkboard is kind of garbage.